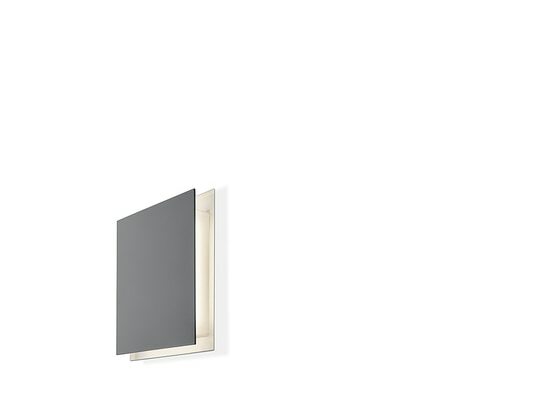 Equipped with a pressure mechanism, the wall luminaire comes out of the wall at a light touch. When it is closed, the light only shows its square perimeter, while in the open position, the light beam is projected over the wall. When the lamp is closed, the power of the light is automatically regulated via dimmers which reduce the light output to 20 per cent of its potential. The finish of the luminaire is white but it can be painted or even covered with wallpaper if requested. 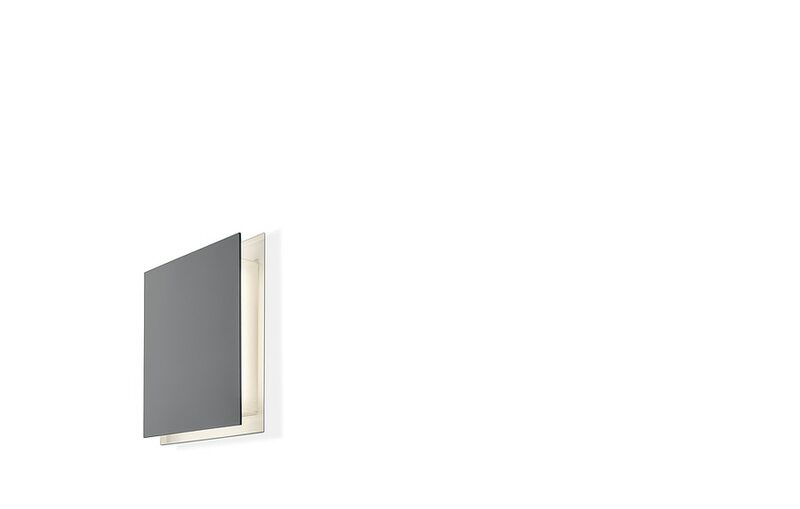 The stringent implementation of this integrated wall luminaire facilitates the effective, indirect lighting of walls.